One of the most fun ways to add color or flavor to treats is by adding a bit of sweet candy. I’m sharing a recipe for these sweet treats today, as well as a tutorial for an easy Football Inspired candy jar. Note that the ingredients call for 1 cup or less. Since we are mixing the Skittles Original candies in the treats, it does break up the bonding ability of the treats a bit. I used close to cup and did not have much problem with the treats sticking together, but be aware of it if you feel like you’re using too much candy. Melt the butter on low. Add the marshmallows, and stir until melted. Remove from heat. Stir in crispy cereal. Split the cereal mixture into two large bowls. 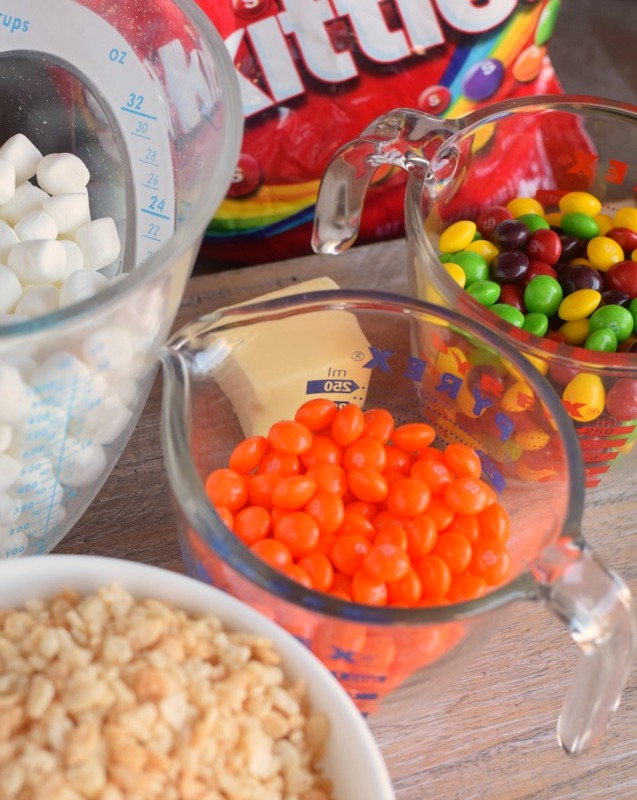 Add 1 half of the Skittles Original (the single color ones) to one batch, and the other half (mixed colors) to the other half. Mix thoroughly. Spray a rectangular cookie sheet with cooking spray. Add the cereal mixture to the sheet in halves. Let the treats set up. Use a knife to cut them into football shapes. Squeeze white decorator’s icing to make the top appear like a football. Have leftover candy? I ordered the Skittles Original Candy- 41 ounce (2 Bags), the Skittles and Starburst, 31.9 Ounce Fun Size Bag, Original, and the Skittles and Starburst, Fruity Candy, Variety Box (30 Count) from Amazon, so I have plenty leftover and ready for Super Bowl day! Skittles is an official sponsor of the NFL/Super Bowl. 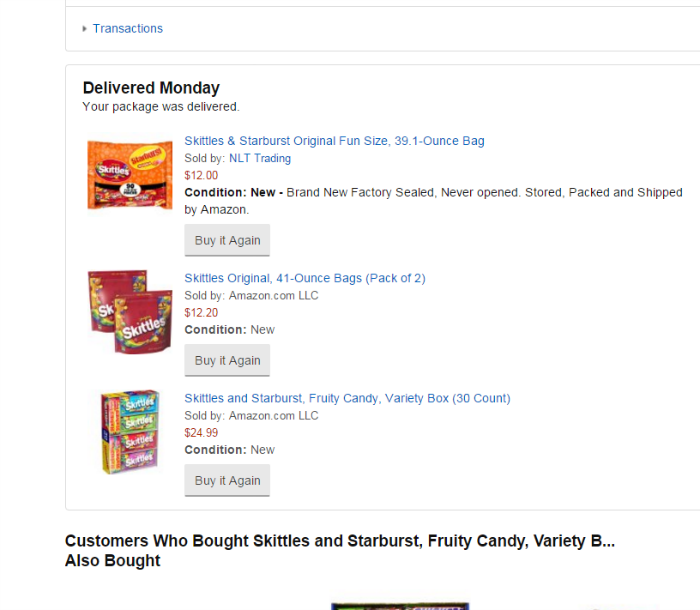 Did you know that you can order bulk candy on Amazon? Skittles, Starburst and Snickers products are available to purchase on Amazon. They have lots of options for a great a price, and ordering is easy. For the leftover candy that didn’t make it into the treats, put them into these cute Football Inspired Mason Jars. 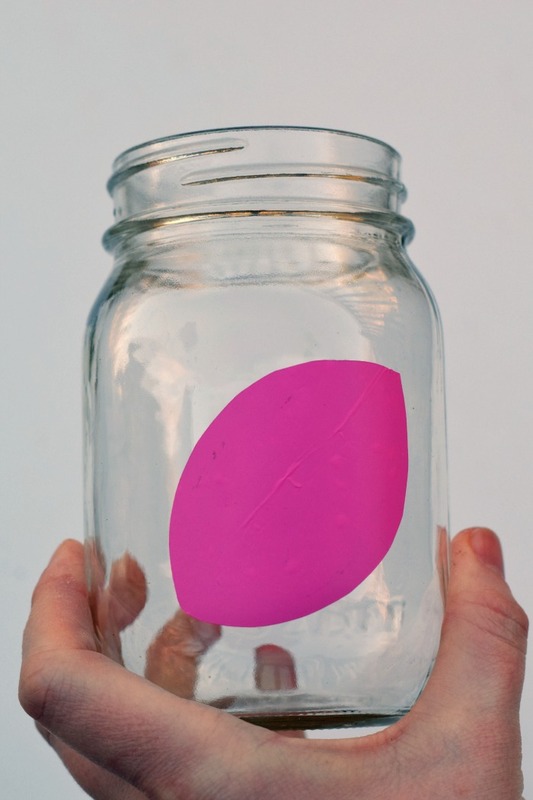 Apply the vinyl piece on the mason jar in the center. Be sure to place it on a side that has flat glass. Cover the mason jar (outside only) with the brown paint. Let dry. Add additional coats, as needed, until the jar is completely covered. Peel back the vinyl piece. Use the white paint to make football-like markings. Let dry. What game day candy would you order from Amazon? I ordered my Halloween candy on Amazon, I love ordering stuff in bulk on Amazon for that matter! Such a fun treat to make. I love how you can customize the colors! The football jar is terrific too! I love the jar design! That is really cute and could be customized for other holidays! What a fun combination. I’m going to try it out with my grandkids. Such a cute idea, my kids would love making these with me! These are awesome! I’m planning on hosting one more party before we move, and these will go perfectly with the decorations! Love this idea!!! Actually I love both ideas the crispy treats and the mason jar! I’m sure my lil’ bro would eat every one of those treats!!!! I’m having one more party at our place before we move. These jars will go perfectly with the decorations. Thanks for sharing! That football jar is my favorite! What a super fun idea and perfect for the big game! 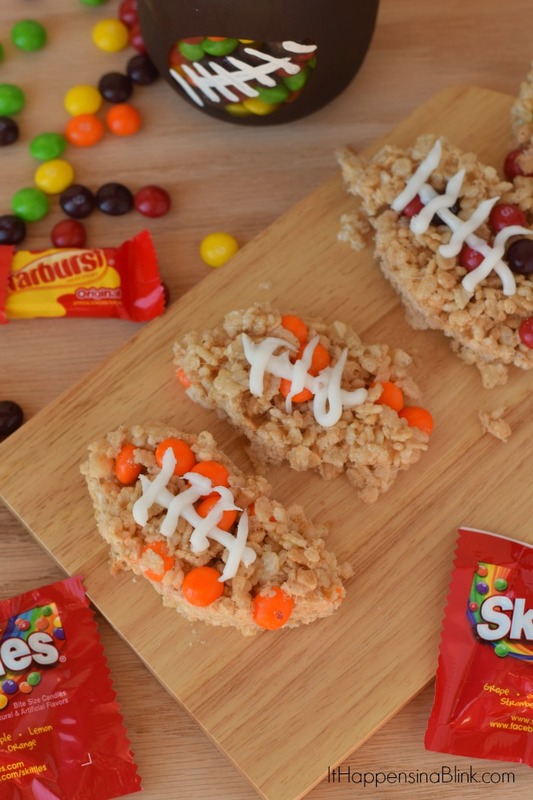 These football crispy treats are the perfect game day snack! I think I’ll make them for this weekend–and that jar is adorable! 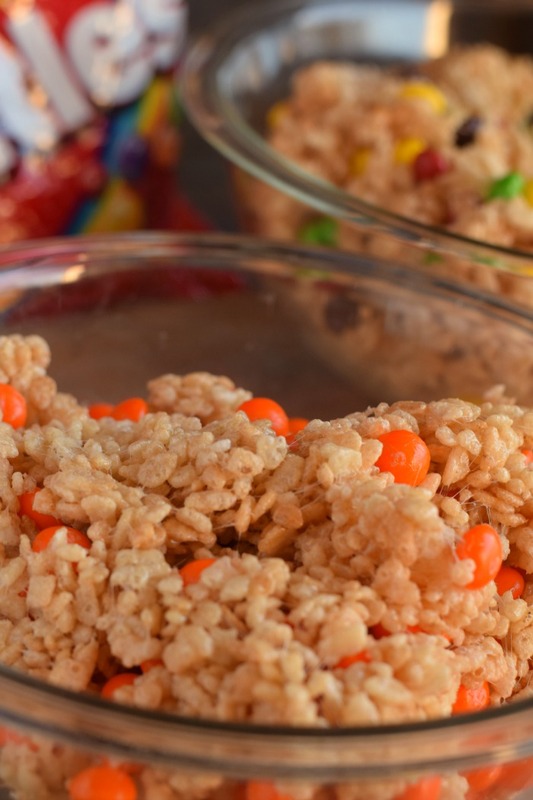 Skittles and rice crispy treats are very popular treats in our home so these would go over well. 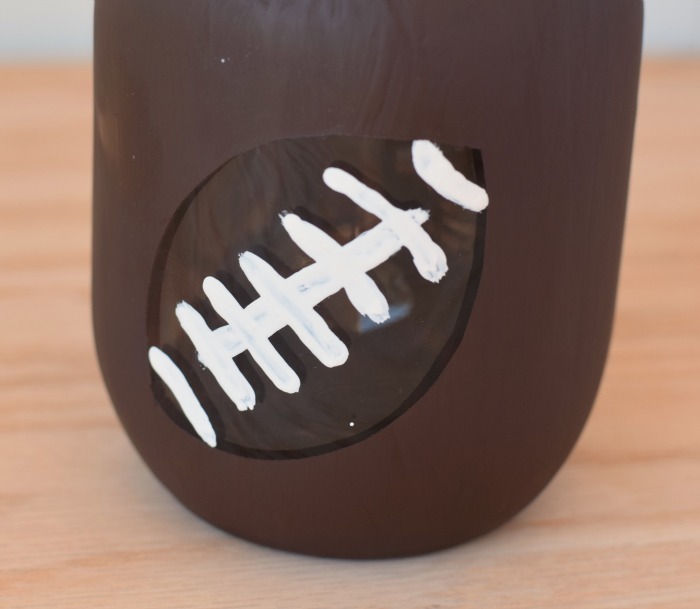 And your football mason jar is the cutest thing ever! I see all red Skittles Crispy Treats in my future! So fun! This would make a great host/ess gift to bring to the next game day party! OMG! I love the football mason jars! Pinning for inspiration! Such a fun recipe idea and what you did with the leftovers is genius! These are so much fun. I love that jar!! I love the jars! So cute! These look so yummy. My two favorite sweets- Skittles and Crispy Treats. I like how you can use your favorite team colors. 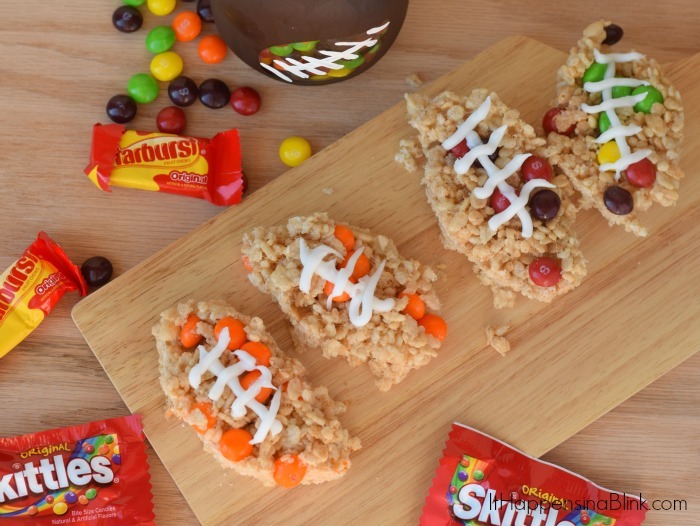 Crispy treats are one of my faves, and your skittle color-coordinated footballs are adorable. I love the jars, too. 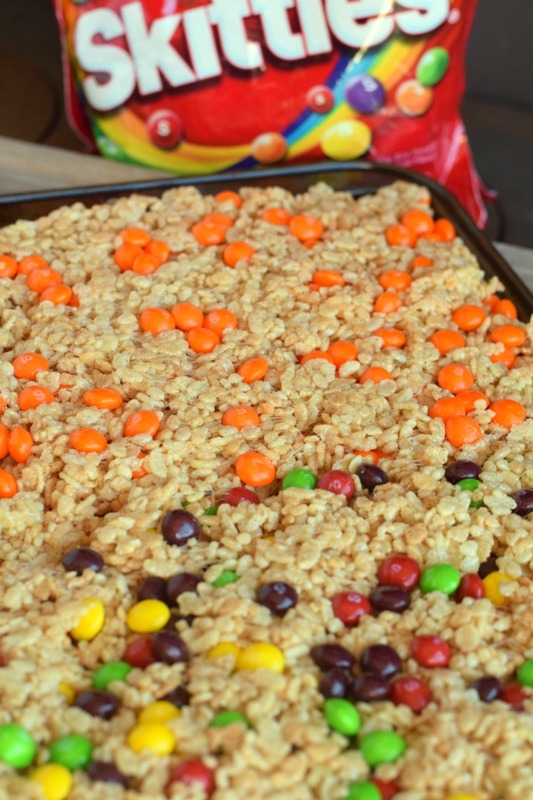 Skittles and crispy treats together? I am so in! Love this idea! 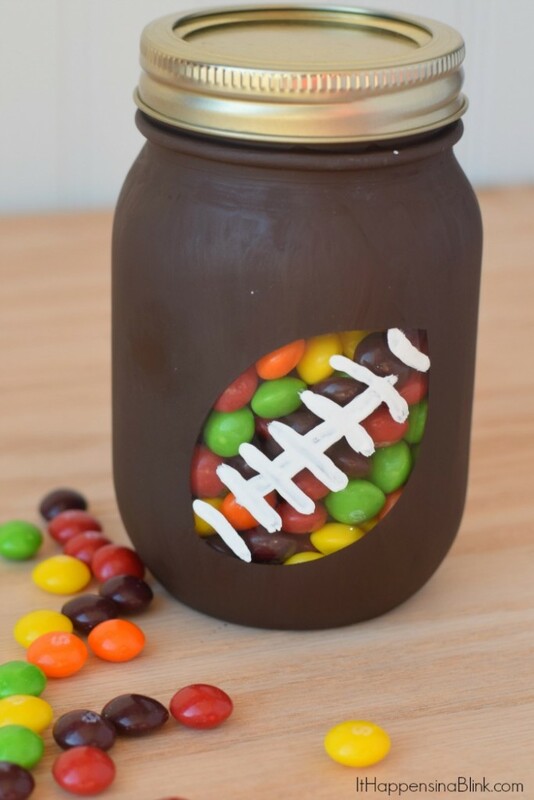 I totally have to make those football jars! So fabulous! I love Amazon. It’s perfect for folks like me that live in a rural area far from shopping Your rice treats with Skittles look awesome. Seriously, is there anything you can’t buy on Amazon?! It’s so great to be able to choose your items and have them delivered. Sure saves my sanity! And those jars, super cute idea!